Outstanding success in graduate school acceptances in economics, finance, business and accounting. Among accounting majors—more than 95% pass rate on the CPA exams. Among finance majors—50% pass rate on CFA Level 1 exam, vs. global average of just 35-40%. Internship placements in all kinds of firms and industries. Becca majored in business administration with a concentration in international business and minor in Mandarin. Gordon's many global education opportunities allowed her to explore her passions and gain real world experience. She participated in the British Theatre Seminar, China Business Seminar and a semester language immersion at Peking University in Beijing, China. While at Gordon, Becca co-founded Global Children's Vision, which is a legal nonprofit that strives to bring support to the more than sixty million left-behind children in rural China.  Gordon's focus on entrepreneurial leadership fostered and cultivated her nonprofit work, which was catalyzed by opportunities such as the business major's business plan competition and the Center for Entrepreneurial Leadership's social venture competition. The nonprofit continues to grow today and has opened its first communication resource center in Guizhou, China, which provides a safe place for children to connect with their migrant parents. Becca currently works in Shanghai, China, as an international development associate at MDF Instruments (a manufacturer of high-end medical supplies to over eighty countries). Her role involves managing the company's eCommerce and serving as a communication liaison between the Shanghai and Los Angeles offices. Jessica Rabe is currently Assistant Vice President at Convergex Group, a global brokerage company based in New York. She works on the market strategy team with the firm’s Chief Market Strategist. They publish the Convergex Morning Briefing, a daily report on the economy and capital markets. Jessica is co-author of "Alts Democratized: A Practical Guide to Alternative Mutual Funds and ETFs for Financial Advisors," published by Wiley Finance in December 2014. She started her career as a research analyst at a Registered Investment Advisor in New Jersey, where she published articles and contract research on liquid alternatives. Jessica has also been published by the World Economic Forum's Global Information Technology Report, the American Enterprise Institute’s Values & Capitalism blog, the Center for Public Justice’s Shared Justice blog, Asset International's Strategic Insight Alternatives Quarterly, and Seeking Alpha. Jessica graduated from Gordon in December 2013 with a major in economics. She completed a number of accounting and finance courses to hone her financial research skills. She also participated in the Jerusalem and Athens Forum, Gordon’s great books honors program. She started the Global Perspectives column on foreign affairs in The Tartan, Gordon College’s newspaper, and was a member of the Economics and Business Club. Gordon also gave Jessica the opportunity to complete a summer internship at EMC’s Big Data Research and Development Center in Rio de Janeiro, Brazil. Gordon’s business professors encouraged Blake not merely to memorize a concept, but to understand its meaning and applications. His almost daily conversations with professors allowed him to truly conceptualize their teachings. After graduating, Blake helped found the real estate company DRGDenver. He developed their leasing department and generated over eighty percent of their revenue in his nine months with the company. Shortly after founding DRG, Blake was offered a position with Regency Centers, a large, publicly traded real estate investment trust. He works with the Vice President on new developments and re-developments by reviewing pro formas and architects’ renderings. He manages eight shopping centers for Regency Centers, and is implementing and directing their national Generation Y research team. Outside of Regency Centers, Blake is working on creating two small businesses. David double majored in Finance and Economics and began work in Boston upon graduation. As an analyst in the State Street Finance Rotational Program, he completed rotations in global markets finance, accounting, and global treasury investment management over the course of a year. He was then offered a fulltime position in the Global Treasury Investment Management Group as a mortgage research analyst. As a former Gordon athlete, he enjoys the competitive business environment. Graduating with a liberal arts degree from Gordon enabled David to develop a broad perspective, expanding his knowledge base beyond business to incorporate skills and values that have been crucial in navigating the professional world. David currently lives in Cambridge and attends Park Street Church. Gordon’s rigorous and well-rounded training in business law, ethics, economics, finance, and accounting helped Erin pass the CPA exam less than a year after graduating. Following graduation, she joined Walz, Deihm, Geisenberger, Bucklen, & Tennis, PC, an accounting firm in Lancaster, PA that provides companies with innovative tax and financial expertise. As a CPA, Erin acted as a taxpayer advocate in communication with Federal and State Revenue Agencies, and served a broad range of clients including an internationally recognized professional athlete and companies with global operations and distributions. Her work preparing resources for calculating the new Small Business Health Care Credit was used by CPAsNet.com, and praised by Dean Zerbe, Esq., the former Senior Tax Counsel for the Senate Finance Committee. Recently, Erin joined the Income Tax Department at AOL, Inc., a global web services company with an extensive suite of brands in its portfolio. As Sr. Tax Analyst, she focuses on analyzing the tax impact of AOL operations and is involved in compliance and other reporting functions. Curtis Pope, also known as CJ, is a Financial Advisor with the Pope Group at Morgan Stanley Wealth Management. After studying economics in college and Asian studies in Beijing, I volunteered with AmeriCorps in Boston for a year. In 2010 I moved to New York for graduate school and worked in fundraising for 2 years. Several years ago I started my own e-commerce business buying, selling, and consigning over $500,000 of luxury items for wealthy clients in and around New York. One of Gordon’s first students to double major in Finance and Business, Lee was driven to pursue all the opportunities Gordon had to offer. Initially considering a career in medicine, Lee acknowledges it was his time at Gordon that helped him to realize his passion was serving others in the field of finance. Immediately after graduating, Lee was recruited by a team of financial advisors at Smith Barney in southern New Jersey, where he met the rigorous education, examination, experience and ethics requirements necessary to earn the Certified Financial Planner (CFP®) certification. In 2009 Lee and his team joined Janney Montgomery Scott, a full-service, financial services firm headquartered in Philadelphia. Continuing his professional education, Lee is currently pursuing his Chartered Financial Analyst® (CFA®) designation (Level III candidate), which requires roughly 900 hours of study in accounting, economics, ethics, finance and mathematics, and is a recognized symbol of professionalism and integrity for investment professionals worldwide. Specializing in biblical finance, Lee is also a Qualified Kingdom Advisor®, which recognizes him as a committed Christian financial professional who has met high standards in training, integrity, character and competence as an Advisor, Leader and Counselor. Lee credits all of his success to the Lord, and desires to live each day according to 1 Peter 4:10: "Each one should use whatever gift he has received to serve others, faithfully administering God's grace in its various forms." Lee currently serves on the Board of Directors for Green Valley Tennis Club in Haddonfield, NJ as well as The King’s Christian School in Cherry Hill, NJ. Current and prospective students can contact Lee by visiting www.leegiobbie.com. Lee and his wife Courteney were blessed with their first child on Friday, October 5, 2012. Elizabeth “Lizzie” Marie Giobbie was born on her due date in dramatic fashion, and weighed in at 7lb 10oz. At Gordon, Krista served as Vice President of the Student Association, studied abroad with the business program in China, and secured an internship at Oxford Global Resources. She worked on the Orientation Core Staff for new students and was named Gordon's Collegian of the Year for the 2006 graduating class. Currently she works in New York for OpenLink Financial, a provider of cross-asset trading, risk management, operations processing and portfolio management software solutions for the commodity, energy and financial services markets. She began at OpenLink as a corporate recruiter in Human Resources and now works in an employee relations and benefits management position. Also enrolled as a graduate student in the Executive MBA program at St. Joseph’s College, she is scheduled to graduate in December 2011. Krista notes, "I am very grateful for the foundation of business knowledge that was laid at Gordon; the instruction and coursework set my roots in Biblical truth first. It was refreshing to learn in an environment where professors intertwined business fundamentals with Christian conviction. Apart from my classroom experiences, the growth I experienced in my Christian walk and the friendships made during my four years at Gordon are the greatest treasures I have taken with me." Beth graduated from Gordon with departmental honors. During her junior year, she studied economics at Trinity College Dublin, and later completed coursework toward a Master of Science, Mathematics and Statistics at Georgetown University. As a Financial Advisor with Morgan Stanley Smith Barney, Beth focuses on wealth management and proactive retirement planning for her clients. Beth began her career as a lobbyist for the National Pork Producers Council in Washington D.C. In her capacity as Director of International Trade Policy and Economic Analysis, Beth was an advocate for U.S. pork producers to Congress, the Administration and foreign governments on trade-related issues. Beth also monitored emerging market trade and political risk and served as liaison to the Agricultural Technical Advisory Committee for Trade (ATAC). She continues to be involved with Trade Policy Forum, Women in International Trade, Washington International Trade Association and Women in Government Relations. Fran’s Gordon education has served him well in his profession and relationships formed here—with mentor Professor Ted Wood, for example—have proved enriching over the 25 years since he graduated with a major in Business Administration. Fran’s connection to Gordon remains strong: he has worked as an adjunct professor of accounting, served on the Presidential Advisory Committee, and his daughter and one of his three sons are current students. Fran is a partner at Grant Thornton LLP. He serves in many other capacities, as President of the Board of Independent Route Daycare, Vice President of the Board of Davenport Memorial Foundation, Treasurer of the Board at Mystic Valley Regional Charter School, and board member of the Adelaide Breed Bayrd Foundation. He and his wife of 25 years attend Seven Mile Road Church in Malden. Gordon gave Judy terrific preparation in economics, and a chance to learn what it means to be a Christian economist. Gordon also gave her a strong desire to give back to students the kind of respect, interest, and inspiration she received from her professors. After graduating with a B.A. in economics, she went on to Cornell University for her M.A. and a Ph.D. As assistant professor at Bowdoin College, associate professor at the School of Advanced International Studies, Johns Hopkins University, and now Professor of International Economics at Brandeis University, Judy has practiced being that "Gordon professor" to all her students. Her teaching and research focus on the impact of trade policies on developing countries. She has consulted for the World Bank and the OECD, and has been a visiting scholar at the Indian Statistical Institute, New Delhi, India. Taking up the chance to contribute to her own country’s trade policy, Judy joined the Office of Economics of the US International Trade Commission in 2000, where she was a senior international economist, and is now a consultant. The vision Judy acquired at Gordon—to "think Christianly" about economics—is ever present, and has led to collaborative work with development practitioners (Attacking Global Poverty in the Developing World, 2005), active involvement in the Association of Christian Economists, and exciting work on the Board of World Relief.